Introducing the NEW GO! Me Easy Fabric Project Maker. Inspire the next generation of quilters, sewers and crafters excited about creating easy fabric projects! Open the GO! Me Fabric Project Maker and discover everything needed to develop a love for quilting that will last for years to come! Then, enjoy spending time together transforming fabric into keepsakes with step-by-step instructions and everything needed from start to finish. 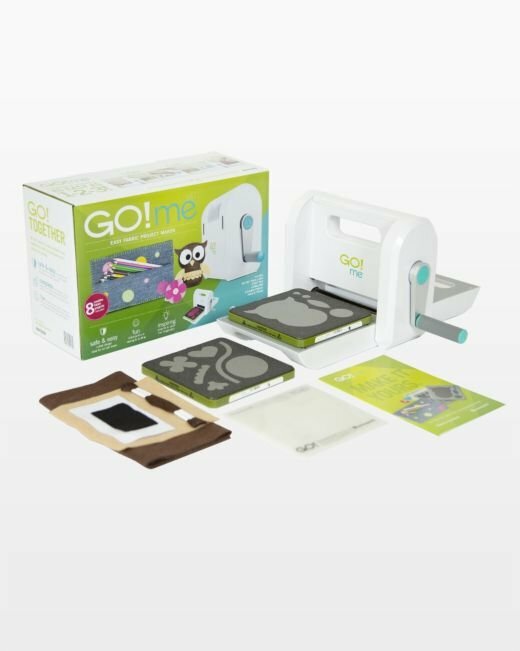 The starter set includes: 2 GO!® dies, a cutting mat, a fabric & thread kit to make the first project right out of the box, and 8 patterns with easy instructions designed for all skill levels.